Kratom, also called Mitragyna Speciosa is a natural herb that is surfacing the world of medicine once again with its ongoing popularity. Traditional medicines were once the cure for everything centuries ago, while the advent of new diseases saw the inception of chemical drugs. This very response from mankind is not due to the fascination for pharmaceutical drugs, but rather a petrified one in an attempt to combat the deadly disorders of the 21st century. But the rise in side effects from chemicals is forcing humans to look down the path we have traversed. That is the reason why we have started embracing herbal medicines tracing down our past for various benefits. However, traditional medicines like Kratom have not been researched properly in spite of its great use of being a natural stimulant and a relaxant. Hence there are concerns related to the safety from Kratom. This is why Kratom is facing a huge legal complication today, with certain groups trying to shut down Kratom once for all. But the good news is that few intelligent minds out there are breaking their heads to prove otherwise on Kratom. Let’s have a brief note on the history of this natural wonder plant. Though there are no complete reports on the origin of Kratom, it is said to be first found in the Southeast Asian Countries. Making it suitable for the assumption, it is believed that Kratom was predominantly used by the native societies, many centuries ago. Kratom was usually used for its stimulant properties by the tribal people. They chewed upon the leaves of Kratom which imparts a stimulating effect similar to Coca in its function. However, Kratom increases appetite, energy and also sexual potency. Hence the native tribes would smoke, eat or chew on it at times, for the various benefits. However, Kratom can’t be consumed in its raw form due to the bitter nature. It was also used by them for pain relief. But mostly, Kratom is seen to be a herb of the workers’ community who toiled hard on the fields and indulged themselves in physical work. Kratom is quite interesting since it has the property of acting as a stimulant in low doses and as an opiate in high doses. Though Kratom was not composed of any opiate substances found in the classical opiates, it did contain alkaloids that are chemically similar in nature. This one aspect of Kratom has helped it to become a potential substance to treat opium addiction. It also follows a similar procedure of binding with the opioid receptors in the brain. It is also important to note that Kratom isn’t associated with any death caused wholly by this medicinal plant. There were certain consequences due to the use of Kratom but those deaths were linked to the adulteration of Kratom. Willem Korthals documented the use of Kratom plant as an opium substitute in the 19th century. He reported that the natives used Kratom since other opium products were not affordable. Two years later, another scientist by the name Ridley mentioned that tribal people used this natural plant for opium withdrawal. A remedy, considered being very old, Kratom is said to save people from a deadly addiction. On deeper research, it was found that Kratom leaves consisted of an Alkaloids called Mitragynine, which is responsible for the opioid-like behavior of Kratom with side effects that are milder in nature. Kratom as a medicine has been used in these countries to treat various health ailments, including diarrhea and diabetes. It is also used as a recreational tool in festivals and gatherings. Though the trade of Kratom is banned in many countries, the rural societies are still in the practice of using Kratom which can be seen predominantly in countries like Malaysia and Thailand. If you are searching for a place to buy Maeng Da Kratom or Borneo Kratom, then you can find many reliable online vendors. Here at Kay Botanicals, we offer great deals over Kratom products. As from the research, it is explained that Kratom plant can be used as an opiate around the world. 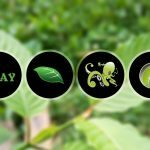 Previous Post Mitragyna Speciosa Studies Next Post Monthly Deals on Kratom Sale from Kay Botanicals – Here How!